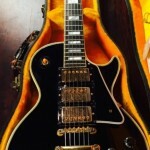 1959 Gibson Les Paul Custom, Black Beauty # 91831. 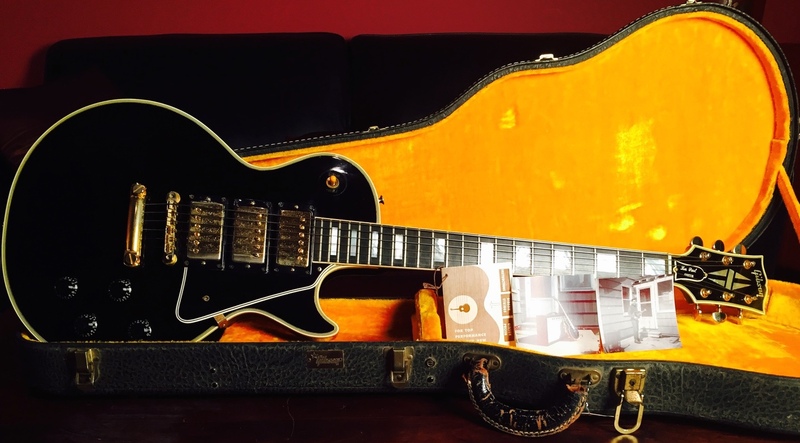 I bought this excellent original condition Les Paul from the widow of the original owner who bought it new in 1959. It has original factory large frets and factory original Grover tuners. It’s a factory stop tailpiece guitar with no issues and almost no play wear. 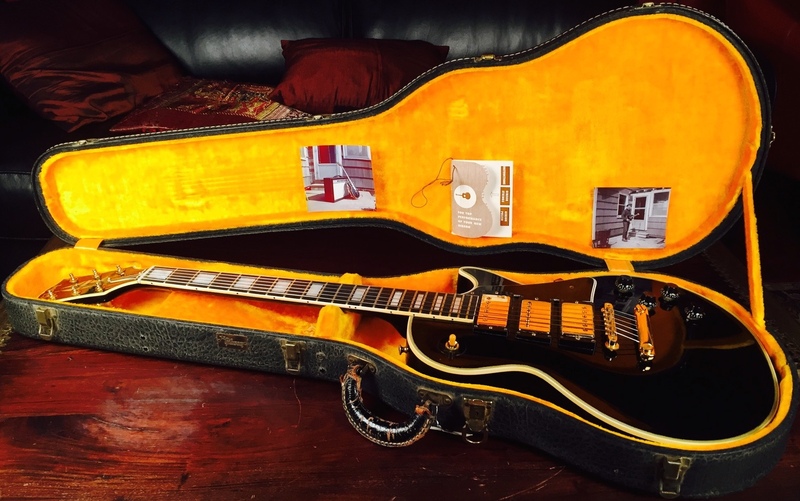 It comes with the original Black yellow lined case and it has the original serialized factory hang tag, and three pictures of the guitar when it was new. It has a large round neck with a great feel. It came with the original flat wound strings. 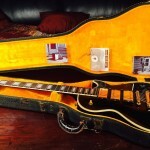 This is a Manly Les Paul, weighing an even 10 lbs. I haven’t done a pickup reading but all three are strong and it sounds as beautiful as it looks. I like buying vintage guitars from the family knowing it has never been in a repair shop. The owner didn’t use this guitar much; he switched to acoustic guitar, which explains the like new condition.